This year autumn in Bratislava is going to be one great big feast. 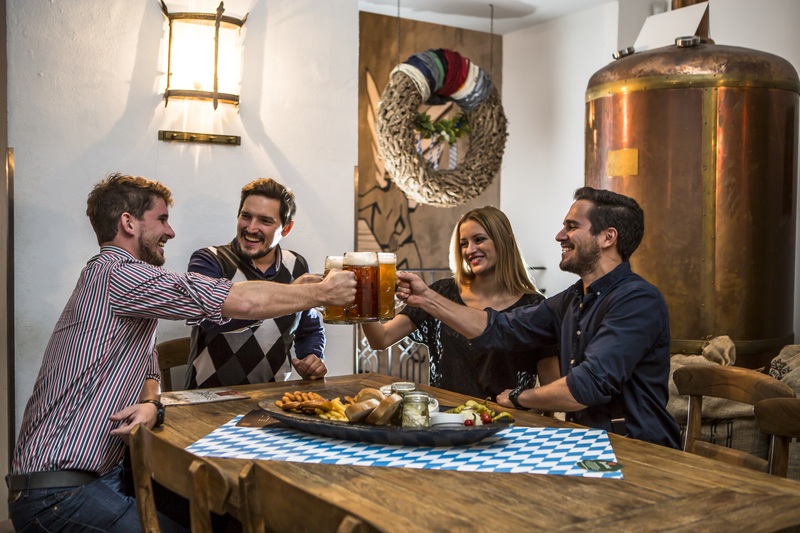 Whether you love meat or you’re a vegetarian, whether you prefer wine or beer, whether you enjoy the classics or tend to experiment, your taste buds are going to go wild in Bratislava. Sweet, juicy and crunchy – these are the culinary features of Bratislava in autumn, when you get the opportunity either to try new flavours or lovingly return to what’s always been popular here. If you can’t make up your mind about what to eat, visit Street Food Park, the best street market in town for something to eat. 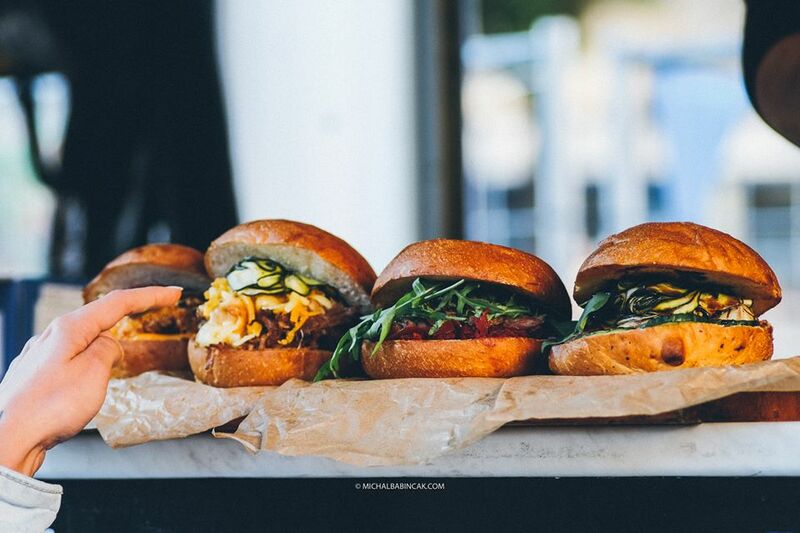 You’ll find a little bit of everything, including burgers, waffles and even vegetarian delights. Meals are prepared right in front of you by masters of the kitchen willing to give you advice, and there’s no extra charge for the fine atmosphere. It’s a happy place to be, full of well-fed people sharing the joy of delicious food together. Another reason why to visit Bratislava during autumn is beer. The dewy freshness tastes best in a circle of friends and you can enjoy them in more traditional beer gardens and pubs such as the Black dog or the Ventúrska Klubovňa, which you’ll love for their domestic atmosphere. The pride of Bratislava is the local breweries, where you can taste beer from a fictional world. Then you definitely should not miss the Danube brewery,Burges brewery, Monastic brewery or Fabrik (The Factory). If you’d rather prefer wine, then look forward to the end of October and the 8th edition of the popular Bratislava World Wine Festival. Here you can taste the best of the best, learn about new wine varieties and get to know some of the most expensive and most valuable wines available, too. Tradition and festivals go hand in hand especially in Bratislava, where wine and music are particularly worthy of celebrating. Between September and November, the summer crowds have thinned and the weather turns slightly brisk. The beginning of the wine harvest in the area just northeast of Bratislava, the Small Carpathians region, provides a good reason for organising a number of local wine festivals. They are perfect for families offering many activities for children, and adults alike. Annual festivals also celebrate the beginning of the wine harvest is the small vineyard cities strung along the Small Carpathian Mountains including Svätý Jur, Pezinok and Modra. The autumn Goose Feasts are the most awaited culinary events of the season. 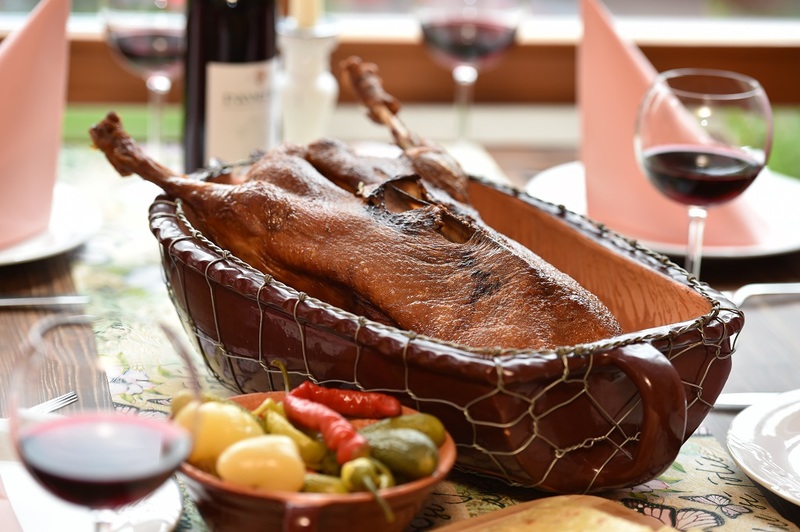 Crispy goose served with homemade “lokshe”, a thin potato pancake, and fresh red wine from the Little Carpathians wine district are temptations few people can withstand. To truly experience the country atmosphere of these goose feasts, you should definitely visit the small town of Slovenský Grob near Bratislava, where the tradition of roast goose in autumn has been a part of life for over a century. Slovenský Grob’s goose farmers will take good care of you, delighting you with plates of golden-baked goose delicacies cooked according to family recipes. However, you can still enjoy such a culinary treasure at any of Bratislava’s famed restaurants until late autumn. Such popular places in town include Hradná hviezda, Leberfinger and Pulitzer. If you can’t imagine a day without something sweet to delight you, rest assured that you’ll love Bratislava not only in autumn, but anytime during the year. Indeed the Slovak capital offers a number of cozy confectionaries and original coffeehouses you never want to leave. An absolute classic you have to try are the legendary Bratislava rolls known throughout as Pozsonyi kifli. Their delicious buttery flavor garnished with walnut and poppy seed melts on your tongue and for a few minutes takes you back to the years of old Pressburg. If you prefer cheesecake, you won’t be denied in Bratislava either. It is whispered that the Mondieu coffeehouse serves the creamiest cheesecake ever. 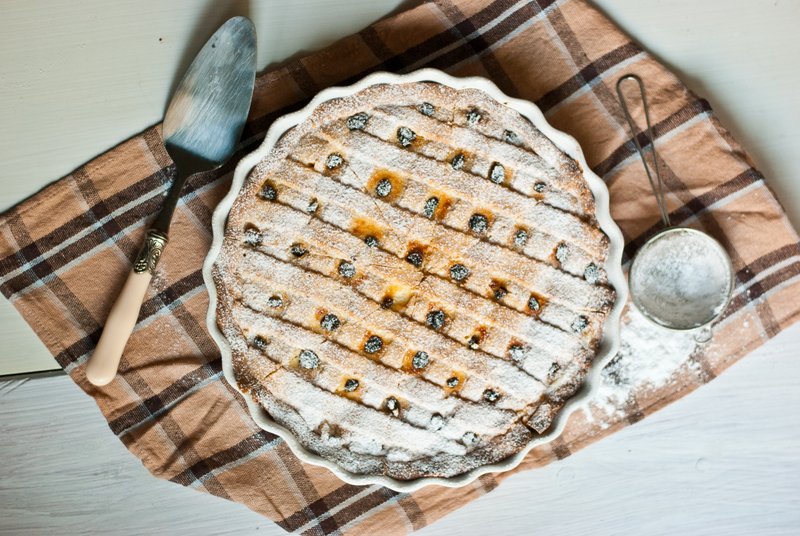 But even fans of true homemade cakes can easily find something to satisfy their desires. Just try the cakes served with coffee at Zeppelin or Štúr. Their rich selection will leave you satisfied, but we’ll need to apologize in advance for the several minutes you’ll have to spend before the display case making up your mind. Indian summer is also the time for music lovers. Classical music enthusiasts should book their tickets for the Bratislava Music Festival (Bratislavské hudobné slávnosti) well in advance. This well loved prestigious international event dates back half a century. 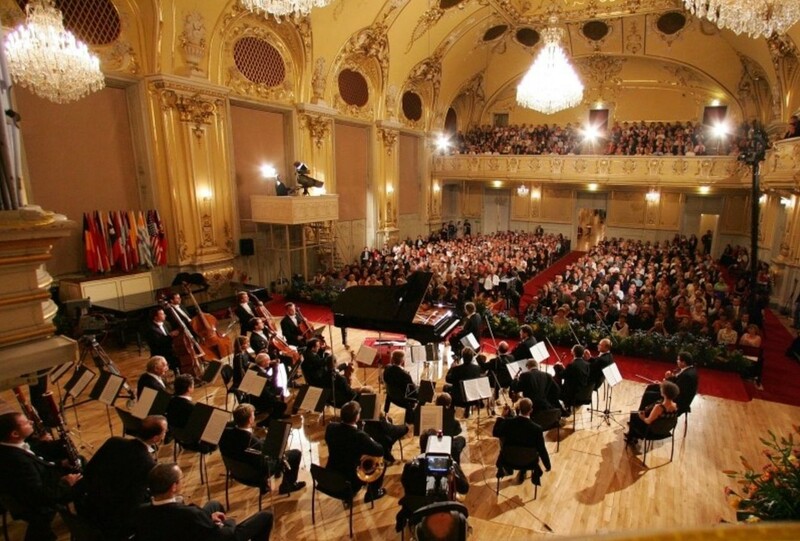 In October, classical music gives way to jazz, as the Bratislava Jazz Days or “Džezáky”, as Bratislavans call the international festival, are held. The festival features the world’s top jazz musicians and groups as well as upcoming stars and takes place over four days and it’s one of the most important European jazz festivals. Do not miss it. It offers something from everyone, whether you love the Big Band, Hot and Cool jazz or new alternatives.